Any army’s identity is rooted in the consciousness of its history. Over the years, the Indian Army has developed gradually into the magnificent organisation it is today. It has built a reputation for its values — discipline, high integrity, courage, duty, dedication and honour —secular and apolitical conduct. In the public mind, it is the ‘most trusted brand’: the last instrument and hope for national security and in time of calamity. On January 15, when we celebrate yet another Army Day, it is a time to reminisce and also to look into the future. From ancient times, the characteristics, organisations and even the ethos of armies the world over have been shaped from the roles assigned to them; Alexander’s army was structured for territorial conquests. 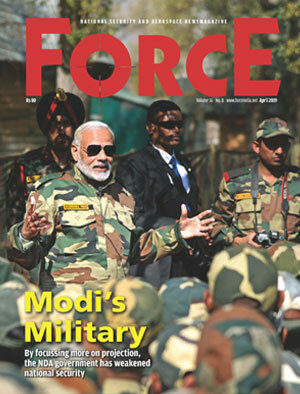 The role of the Indian Army is mainly to safeguard the nation from any form of threat to its territorial integrity, secure its core values and national interests, and fulfil its international obligations. The latter involves its employment beyond our borders such as participation in UN peace-keeping operations, as an expeditionary force at the request of a friendly country and sometime on ensuring safety of India’s assets abroad. I see no change in this role of the Indian Army in the years ahead. The army has been fulfilling its role despite remaining almost continuously committed on additional responsibilities such as internal security duties in the Northeast and Jammu and Kashmir and added vigil on the Line of Actual Control (LAC) with China and Line of Control (LC) with Pakistan. While more and more new challenges have been introduced with the entry of nuclear weapons, long range missiles, cyber and information war into our region, the old asymmetric war methods like foreign-aided insurgencies, terrorism and subversion are becoming more virulent, continuously altering our external and internal security environment. After Operation Vijay (Kargil war), the Indian Army has not had to fight an overt war. But the disputed LAC with China and the LC with Pakistan have continued to simmer. There have been many eye-ball to eye-ball confrontations in the recent past. On the Pakistan-India border and LC in Jammu and Kashmir, the numbers of ceasefire violations, skirmishes and artillery duels have increased. Units and formations deployed along the border/LC/LAC have had to maintain 24/7 vigil and ensure that there is no covert encroachment of Indian territory. Pakistan has been active in proxy war, often displaying its capacity to control its intensity, as noticed during the election period in Jammu and Kashmir. There have been a few incidents of weak operational alertness and poor reactions. In January 2013, a Pakistani Border Action Team managed to behead and mutilate members of an army patrol near Poonch. On 5 December 2014, a six-member Pakistani terrorists’ suicide team reached an army unit location at Mahura. It was able to inflict heavy casualties before it could be eliminated. However, by and large, the counter infiltration (CI) grid along the LC and in the hinterland has been successful, which ensured that the Parliamentary and Assembly elections could be held in a safe and secure environment. An unprecedented number were able to cast their votes. There were two major calls on the army to assist the civilian administration during natural calamities. In June 2013, the Uttarakhand floods were caused by cloud burst, flash floods and incessant rains. This natural disaster affected millions of locals, pilgrims and tourists who were stranded in the area. Several thousand people were killed. The army, in tandem with the air force and other civil and paramilitary organisations launched one of its largest humanitarian missions under the codename Operation Surya Hope.